Today, 5 November, is the anniversary of the parinirvana of H.H. 16th Karmapa Rangjung Rigpe Dorje in 1981. We reproduce an excerpt from Reginald A. Ray’s book Secret of the Vajra World – The Tantric Buddhism of Tibet (Shambhala, 2001) which presents the 1981 interview with Dr. Mitchell Levy, the 16th Karmapa’s personal physician, who was together with Karmapa during the last remarkable moments of his life. “I first saw His Holiness in May of 1980. Now he had cancer and had come to America to get worked on and to see if he had any further cancer in his body. His cancer was on top of serious diabetes, which he had had much of his life. 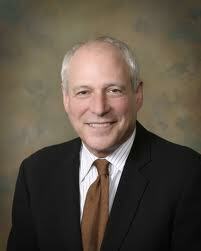 I was engaged as his primary physician at that time. “When he arrived, we did a full workup on him. That was somewhat uneventful. A few things do stick out in my mind about that period. First of all, there was a thread that began here and ran through all the rest of my contact with him as physician. There was nothing other than a feeling of business as usual from His Holiness’ point of view. This was just another experience, and this happened to be an experience of finding out whether his cancer was going to kill him or not. But, in a way, to him, it didn’t make any difference one way or the other. You could have been talking about chicken soup. “We were always running into this kind of vastness of his state of mind. He was never willing to narrow things down and focus on himself. It is sort of like when you have questions about your meditation experience and you have the same feeling of just spinning your wheels. And he smiles at you. Well, the same thing would happen when we said, ‘Are you in pain? Are you having discomfort after eating?’ We would run into that same vast space. “I think that that was very much a teaching situation for the medical people taking care of him. All of us, Buddhists and non-Buddhists alike, saw that there was no end point for His Holiness even in medicine, in bodily things. It wasn’t, ‘Yes, now you have hit upon it. That is where I have my pain.’ We never got to that. So we would be frustrated and awed at the same time. The way he approached his own death is just another tool for working with others and trying to help them. I think this was a commonly shared experience among all of us taking care of him: wonderment and also confusion about why he wasn’t following what we thought he should be doing, and amazement at his warmth and concern for others, no matter what was happening to him. This was the thread that ran up until the moment he died. “The same day we did the workup, later we went in and had a meeting with His Holiness. I started to ask him the same sort of questions, and he would keep smiling and saying no or yes to certain of them. Finally, at the end, he said to me, ‘There is one thing that is very important for you to understand. If I am needed here to teach sentient beings, if I still have work to do here, then no disease will ever be able to overcome me. And if I am no longer really required to teach sentient beings, then you can tie me down, and I will not stay on this earth.’ This was certainly an interesting way to get introduced to one’s patient. “The second time I saw His Holiness was in Hong Kong a number of months later. The first thing that impressed me was how much more weight he had lost and how much weaker and sicker he was, and also, at the same time, how he hadn’t changed at all, in terms of his presence and his warmth. “This began to affect the nursing staff as well, because you have a fixed idea of what a sick, dying patient should be like, and he never would do it. He would always lie there and people would feel totally uncomfortable that they couldn’t help this ‘poor invalid person.’ And this is the way it happened over and over again. He was just there doing what needed to be done for everybody else. “What came out of my experiences in Hong Kong was the realization that His Holiness’ state of mind was fundamentally unchangeable and that he was continually helping those around him. 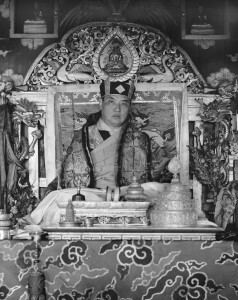 He was especially helping the four young tulkus [in their teens and early twenties] who were with him, the Rinpoches whom he had been training at his monastery in Sikkim since their childhood. His Holiness was helping them to accept what was going on. “When I got to Hong Kong, I began to ask myself, ‘Why is he dying now?’ And I began to watch the way he dealt with the younger tulkus. He had brought up the four major Kagyu tulkus, and for some reason it turned out that they were all the same age and ready to go out now and teach in the world. He was their daddy, in some real sense, and he had brought them up to this point, and now this was another step in their education, the fact that he was dying. There was something that felt to me very right about the whole thing. To me, in many ways, he had fulfilled his life work. But this may be just my own simple-minded view. “The younger tulkus would say to me, ‘Oh, he has so much else to do, this thing and that thing.’ And I would think that if he lived another fifteen years, he would start more projects, and at the end of fifteen years they would still say, ‘How could be die now?’ You could never imagine His Holiness retiring. And so I really felt the consistency of the whole thing: he had very much brought the tulkus up to the point where they were ready to go out into the world, and now he was exposing them to death. “And now, given that it was His Holiness himself who was dying, they were initially unable to reconcile that for themselves. And in many ways, it felt as if he were teaching them about death. I couldn’t help but feel that he was letting his own death be drawn out so that they could just slowly come to grips with it and watch the process and explore it, so that they could digest it later on. “And that is also what impressed me in my experiences with His Holiness in Zion, Illinois, where he finally died. I saw His Holiness’ presence and realized how he was taking care of the tulkus. They were young, and they might have had varying degrees of realization, but still, emotionally and chronologically, in terms of living in the world, they were young. And so this was part of their own growth process. “And people, after a while, couldn’t understand how he wasn’t having pain or responding in the way people do in his situation. Then they began to just feel so much concern about taking care of him. “They had a nurse in the intensive care unit who came to me one day with tears in her eyes and said, ‘I am so worried that this lineage is going to end here in this hospital.’ I mean, mind you, we were in Zion, Illinois. It’s a dry town. It is very traditionally Christian. So, to me, it was very moving to see how completely they were taken with His Holiness. “He kept saying to me, ‘You know, His Holiness is not an ordinary man. He really doesn’t seem like an ordinary person.’ And everybody kept having that experience before his final days. Just the force of his will and his presence were so powerful, that they were completely taken with it. “This was a continuation of what I had experienced in New York, which was that he just kept going, and whether he was in shock or eating grapes, there was some complete unchangeability about his state of mind that radiated to everybody, and no one knew how to compute it. “His Holiness really seemed to have changed a lot of the staff of doctors and nurses. As it was, we left books for them, and beyond that, people were saying to me, ‘You know, I am Christian and I don’t believe in Buddhism, but I have to say the His Holiness is a very unusual person.’ They said this almost apologetically, not knowing how to combine both beliefs, but so obviously and deeply touched by His Holiness. 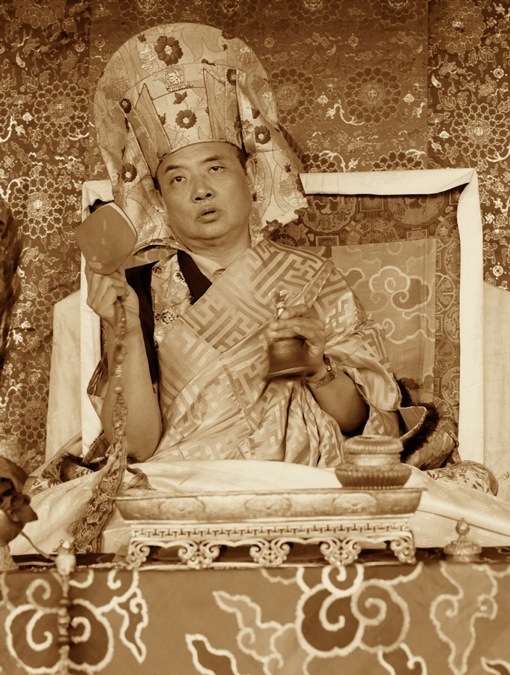 “As the days went on, His Holiness seemed to deteriorate physically. Then he did a few things that, from what the Rinpoches were telling me, had some precedents in his life. Apparently when he was thirteen or so, when he was very ill, the doctors came to see him and said that his illness was very, very serious and that he had only a matter of hours to live, or a day at most. You have to realize that Tibetan doctors will never say something this negative as long as there is any hope. They will never say something like this until they believe that imminent death is certain. Yet His Holiness paid no attention to them, and he recovered quickly. The doctors couldn’t understand how that had happened. 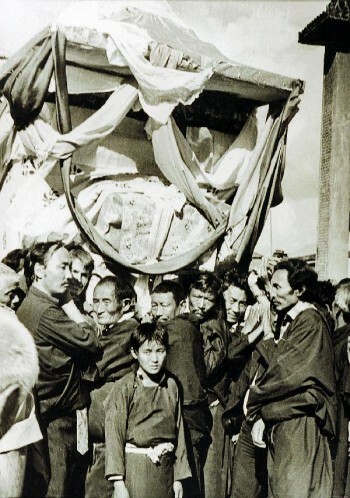 But this was in Tibet, and it was perhaps easier for them to accept, him being His Holiness. “But the same thing happened in Zion. 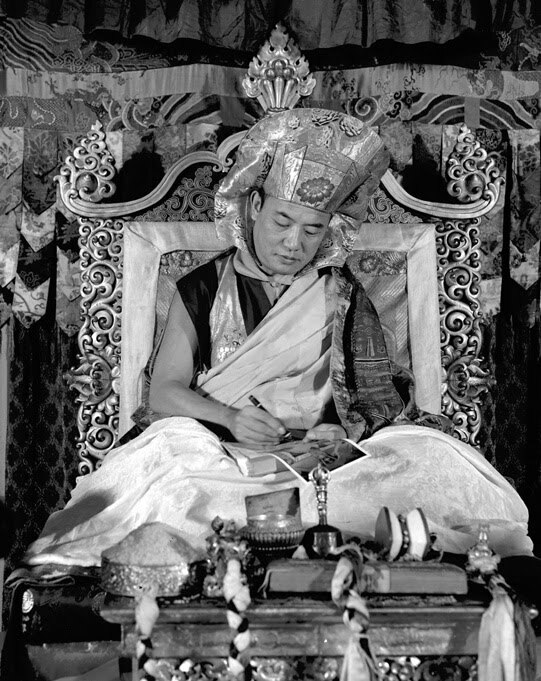 One day after examining him and finding that drastic deterioration had set in, I came out and said, ‘His Holiness has two hours to live, maybe three hours.’ He had every symptom I have seen in that situation, and he was going downhill very rapidly. Every system was failing. He was having trouble breathing, he was vomiting up blood and coughing up blood, his blood pressure was dropping, even on blood pressure support medication. “When you have worked with a lot of critically ill patients, you get a very definite feel when a patient is about to go. You just feel it because you see the stress their body is under, and you know that it won’t be able to carry on much longer. You know they are going to collapse. And so I could just feel it. “And within thirty minutes, all his vital signs got stable and to a normal level, and he stopped bleeding. I walked out after about an hour of being in the room, and one of the staff from the intensive care unit came up and he said, ‘Look at my arms.’ and I looked and he had goose bumps all up and down his arms. No one had ever seen anything like this in their lives. The force of his will was so strong, and he wasn’t ready to die yet. I am completely convinced that he willed himself back into stability. I had never seen anything remotely resembling this, or even read or heard about such a thing. “It was almost as if someone had unplugged the monitors and fiddled with them and then plugged them back in, and they were normal. The blood pressure was normal. He stopped bleeding, but not from anything that we had given him; he just turned the whole process around. After that, he was healthy for another nine or ten days. He was completely stable. “Then about nine or ten days later, suddenly his blood pressure dropped precipitously, and we couldn’t get it back up with drugs. I said, ‘This is very bad.’ I had gotten out of the habit of saying that he might die soon. I just looked at the tulkus and said, ‘This is very bad, very, very bad.’ And that is all I would say. And so they would lean over to His Holiness and say that Dr. Levy thinks it’s very bad. And usually, he would smile. “At this point, he was in DIC-disseminated intervascular coagulation. It means, that there is so much infection that the bacteria, when they break apart, liberate something called endotoxin. The endotoxin in turn affects the clotting mechanism of the blood; it uses up all of your ability to keep the blood clotted, so you start bleeding from everywhere. “I said it to His Holiness, and he sort of looked up and gave an attempt at a smile and, within two hours, not even two hours, he stopped bleeding completely. His blood pressure went back to normal, and he was sitting up in bed and talking. “By this time, the intensive care unit almost had a chalk board, and everyone said, ‘Chalk up another one for His Holiness.’ It really became almost humorous. Given a patient with terminal cancer and diabetes and massive infection in his lungs, already recovering from shock, to go into gram negative shock, someone in that condition just doesn’t come back, ever. And yet, here he was. “Then the day after that, he went into what we call respiratory failures, which was that his lungs weren’t working because he was so filled up with pneumonia. At this point it was clear that if we didn’t intubate him, he was going to stop breathing. We did that, and so prolonged that for thirty-six hours. “Then early on the day he actually died, we saw that his monitor had changed. The electrical impulses through his heart had altered in a way that indicated that it was starting to fail. And so we knew, the surgeons knew, that something was imminent. We didn’t say anything to the Rinpoches. “Then his heart stopped for about ten seconds. We resuscitated him, had a little trouble with his blood pressure, brought it back up, and then he was stable for about twenty-five minutes, thirty minutes, but it looked like he had had a heart attack. Then his blood pressure dropped all the way down. We couldn’t get it back up at all with medication. And we kept working, giving him medication, and then his heart stopped again. “And so then we had to start pumping his chest and then, at that point, I knew that this was it. Because you could just see his heart dying in front of you on the monitor. But I felt that we needed to demonstrate our thoroughness as much as we could, to reassure the Rinpoches. So I kept the resuscitation going for almost forty-five minutes, much longer than I normally would have. “Finally, I gave him two amps of intra-cardiac epinephrine and adrenaline and there was no response. Calcium. No response. So we stopped and this was the point as which we finally gave up. I went outside to make the call to Trungpa Rinpoche to tell him that His Holiness had died. “After that, I came back into the room, and people were starting to leave. By this time, His Holiness had been lying there for maybe fifteen minutes, and we started to take out the NG tube, and as someone goes to pull the nasal gastric tube out of his nose, all of a sudden I look and his blood pressure is 140 over 80. And my first instinct, I shouted out, ‘Who’s leaning on the pressure monitor?’ I mean, I was almost in a state of panic: ‘Who’s leaning on the pressure monitor?’ I said to myself, ‘Oh, no, here we go again.’ Because I knew that for pressure to go up like that, someone would have to be leaning on it with… well, it wouldn’t be possible. “And one of the older Rinpoches slapped me on the back as if to say, ‘This is impossible but it’s happening!” His Holiness’ heart rate was 80 and his blood pressure was 140 over 80, and there was this moment in that room where I thought that I was going to pass out. “And no one said a word. There was literally a moment of ‘This can’t be. This can’t be.’ A lot had happened with His Holiness, but this was clearly the most miraculous thing I had seen. I mean that this was not just an extraordinary event. This would have been an hour after his heart had stopped and fifteen minutes after we had stopped doing anything. 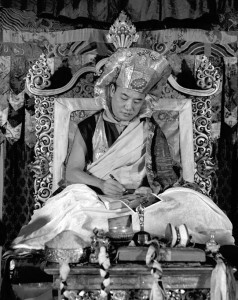 “To me, in that room, it had the feeling that His Holiness was coming back to check one more time: could his body support his consciousness?’ He had been on Valium and morphine, and that disconnected him from his body. It felt to me that, all of a sudden he realized his body had stopped working, so he came back in to see if it was workable. Just the force of his consciousness coming back started the whole thing up again — I mean, this is just my simple-minded impression, but this is what it actually felt like, in that room. “His heart rate and blood pressure kept up for about five minutes, then it just petered out. It felt as if he realized that it wasn’t workable, that his body couldn’t support him anymore, and he left, he died. “Trungpa Rinpoche arrived at the hospital shortly after that, not knowing whether His Holiness was alive or not. So I had to tell him that he had died. And that was it. Those were his comebacks, which were very remarkable. “Even in death, His Holiness did not cease to amaze the Western medical establishment At forty-eight hours after his death, his chest was warm right above his heart. This was how it happened. 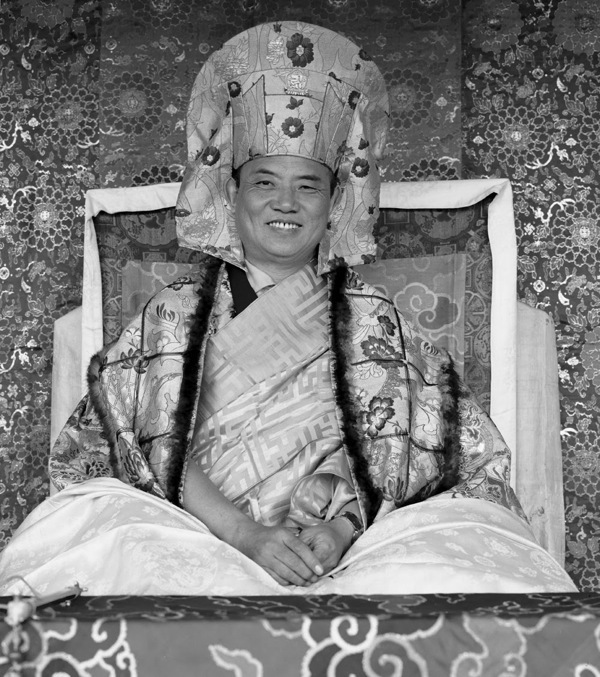 “Situ Rinpoche [one of the younger tulkus] took me into the room where His Holiness was lying. First I had to wash my hands completely and put a mask on. 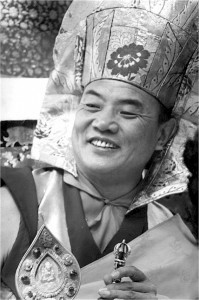 And Situ Rinpoche walks in and puts his robe over his mouth, as if even breathing might disturb the samadhi of His Holiness. And he took my hand, and he put my hand in the center of His Holiness’ chest and then made me feel it, and it felt warm. “And it’s funny, because since I had washed my hands in cold water, my Western medical mind said, ‘Well, my hands must still be a little cold.’ So I warmed my hands up, and then I said to Situ Rinpoche, ‘Could I feel his chest one more time?’ He said, ‘Sure,’ and he pulled down His Holiness’ robe and put my hand on his chest again. My hands were warm at this point, and his chest was warmer than my hand. To check, I moved my hand to either side of his chest, and it was cool. And then I felt again in the middle, and it was warm. “I also pinched his skin, and it was still pliable and completely normal. Mind you, although there is some variation, certainly by thirty-six hours, the skin is just like dough. And after forty-eight hours, his skin was just like yours and mine. It was as if he weren’t dead. I pinched his skin, and it went right back. The turgor was completely normal. “Shortly after we left the room, the surgeon came out and said, ‘He’s warm. He’s warm.’ And then it became, the nursing staff was saying, ‘Is he still warm?’ After all that had happened, they just accepted it. As much as all that had happened might have gone against their medical training, their cultural beliefs, and their religious upbringing, by this point they had no trouble just accepting what was actually occurring. “This is, of course, quite in keeping with traditional Tibetan experience, that realized people like His Holiness, after their respiration and heart have stopped [the outer dissolution], abide in a state of profound meditation for some time [the ‘ground luminosity’ that follows the inner dissolution,] with rigor mortis not setting in during that period. “One thing I should mention is the quality of the room where he was lying. The tulkus said, ‘His Holiness is in samadhi’ [i.e., resting in the dharmakaya of ground luminosity]. What people experienced in that room seemed to depend on varying levels of perception. I asked Trungpa Rinpoche about it. He said that when he walked into that room, it was as if a vacuum had sucked out all the mental obstacles. There was no mental chatter. It was absolutely still. Everything was starkly simple and direct. He said that it was so one-pointed that there was no room for any kind of obstacle at all. And he said that it was absolutely magnificent. “My experience wasn’t quite like that. To me, the air felt thin and there was a quiet that was unsettling in a way. There was no familiarity, no background noise. It was like being in some other realm, one that was absolutely still and vast. It was just His Holiness’ body in the center of the room, draped in his brocade robe, and you felt as if you didn’t even want to breathe. That was my experience. It felt as if anything I did would disturb that stillness. My actions screamed at me. I mean, all of my coarseness and vulgarity just shouted at me. “It felt as if in each movement I made toward his body, I was hacking away at something thick to get through it. And everything I did was clumsy. And from a normal point of view, it wasn’t. I was just walking. But there was an air of stillness, an awareness in that room that was overpowering. I understood what Trungpa Rinpoche meant about vacuum, because it felt like that. 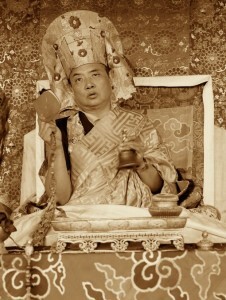 “After about three days, His Holiness samadhi was still continuing. It was interesting, because the doctors and nurses were as concerned as the younger tulkus that we leave his body there and not move it until the samadhi ended. This was unusual, because ordinarily when someone dies, hospital staff want to get rid of the body as quickly as possible. That’s just the way we do it in the West. 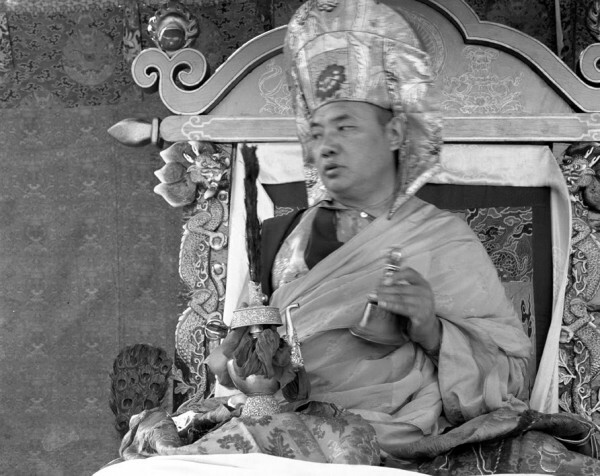 This entry was posted on Friday, November 5th, 2010 at 3:26 pm and is filed under 16th Karmapa, Diamond Way Buddhism. You can follow any responses to this entry through the RSS 2.0 feed. You can leave a response, or trackback from your own site. first time I read this account i really believed it was ‘hype’. I was trained as Christian priest and theologian and had read plenty of hagiography from saints and holy people. It seemed the same. As I reflected however i realised the fundamental difference was that the suffering of HH was incidental…what mattered was his compassion and expanse of mind.